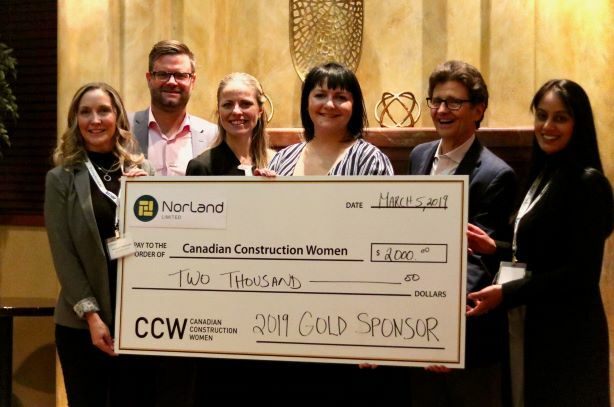 NorLand has recently become a proud member of the Canadian Construction Women (CCW) Association. CCW is a non-profit organization built to support and inspire women in the Construction Industry. We continue to build our organization with Diversity and Inclusion in mind, and we are proud to be supporting the CCW through these efforts. This past March, NorLand became the first organization to sponsor the CCW’s Bursary Program. Four NorLand employees had the opportunity to show their presence and support at the Annual General Meeting where two women were selected to receive the bursaries. It was such a pleasure to be involved with supporting women in the industry, and being a part of their success stories.